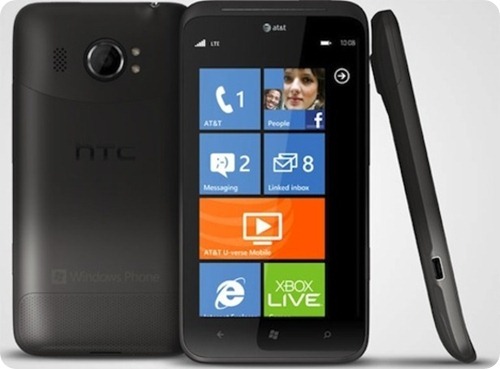 So far, latest offering of HTC dubbed as Titan II, is the first 4G LTE Windows phone at the CES 2012 event. It’s like a no other smartphone that features a staggering 16-megapixels camera including an F2.6 aperture which is designed to capture pictures in low light places. Obviously, this phone will attract users who loved taking pictures without carrying real heavy camera while enjoying the wide-angle lens with a backside-illuminated sensor of the camera and other features such as dual LED flash, autofocus and image stabilization. Titan II also features 1.5GHz single core processor, a 4.7-inch super display for fast and pretty browsing experience, and a 1.3-megapixel secondary camera for video chat interaction whilst offering longer talk time on new upgraded battery, 1730 mAH . HTC Titan is clearly going to capitalize on camera’s solid features to sell the product for its upcoming launch soon exclusively with AT&T including the price. I believe that the F 2.6 aperture is a really a great feature of this phone. It is better than the aperture of my Canon Eos 400d lens. All photographer knows that the lower the aperture means higher price of lens.